Review by Philip Obenschain (@pobenschain). Photos by Nolan Knight. 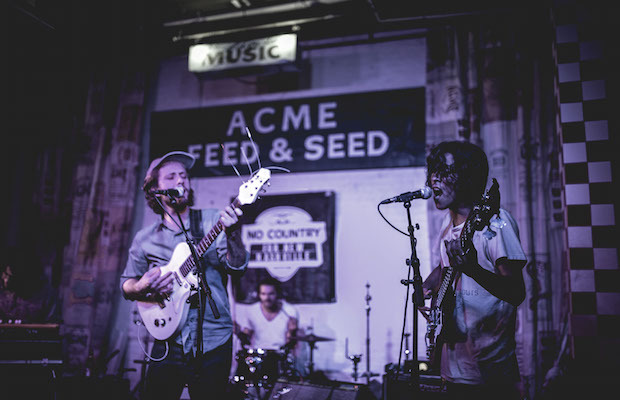 Every single Tuesday for the past year, we’ve been teaming up with hip downtown restaurant and performance space Acme Feed & Seed to host a free showcase of some of our favorite emerging local and national talent. For our latest installment, an all-local bill of up and coming artists, we were incredibly excited to present “acid cowboy” OJR, psychedelic rockers Lasso Spells, and solo turn from Kingston Springs frontman Ian Ferguson. Read on for more about it! OJR. Photo by Nolan Knight. 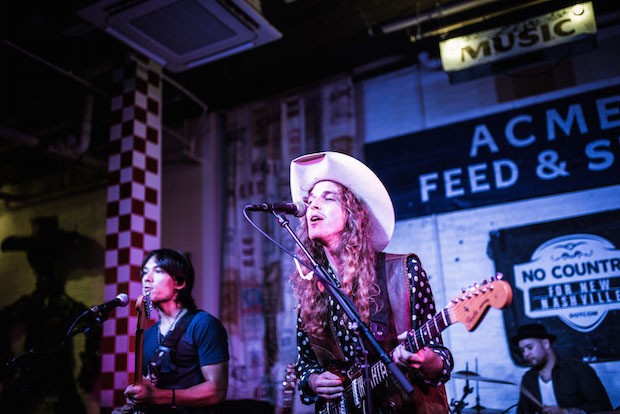 Kicking off the show and certainly looking at ease on a Lower Broadway stage, OJR, full name Oliver John-Rodgers, showed up donning a cowboy hat, though flashing a flair for new Nashville, with his hip, vintage looking attire, and long, wavy hair. A relatively recent transplant, having spent the last several years in New York, Rodgers, backed by an extraordinary group of players, performed with a sound and swagger that could’ve fooled me into thinking he’s been a permanent fixture in Music City for a long, long time. Rowdy and energetic, the talented performer certainly flexes an affinity for country and folk he’s adopted as part of his image, but his sound truly lands more in the rock realm, with fuzzy, indie and psychedelic sensibilities and earnest, electrifying songwriting. OJR is a charismatic performer, and one I definitely expect to see achieve big things in the near future; the huge number of friends and family who turned out to cheer him on only helped reinforce this notion. Lasso Spells. Photo by Nolan Knight. In what served as a perfectly paired sonic segue, Lasso Spells, a band who only recently came onto our radar, pulled from the same groove-laden, fuzzy, retro-informed, and delightfully psychedelic base of influence that also informed much of OJR’s sound, and even harbored a bit of a folk flair of their own. Not knowing what to expect, and having only heard the two singles floating around online, I was greeted by a six-person incarnation of the eight-person lineup listed on their site; but six bodies proved more than enough to deliver the retro keyboard and organ tones, thick harmonies, and dual guitar work that makes their songs so hypnotic. 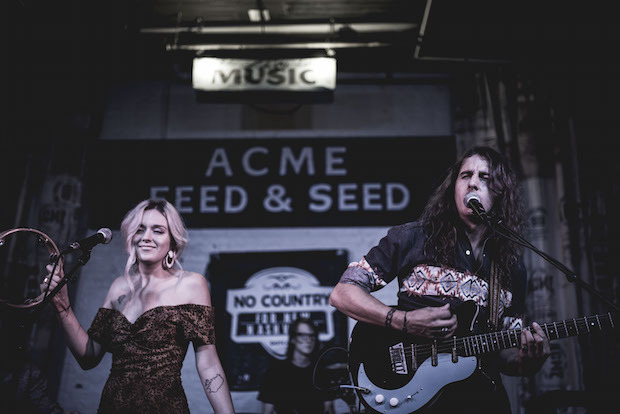 Guitarist/vocalist Brett Dudash, who performed with a polished confidence and a subdued cool, benefitted from the harmonies and electrifying presence of Danielle Shoda, whose added percussion also helped fill out the group’s well-rounded sound. The group have yet to even drop a proper album but trust me; when it arrives, you’ll be playing it on repeat. File under: rising local stars in the making. Ian Ferguson. Photo by Nolan Knight. We’ve been around long enough now that we’ve seen a lot of promising bands come and go. The Kingston Springs, a group who seemingly came out of nowhere and quickly picked up a ton of steam and national hype a few years back, fall somewhere in between the two. Though they haven’t officially disbanded, the Springs have been largely inactive since 2013, reuniting only briefly to play a show this spring. Given their current status, it’s no surprise to see members stepping out an on to new projects, and we were eager to host frontman Ian Ferguson in one of his inaugural outings under his own name. Not knowing whether he’d play solo or with a band, I was stoked to see Ian backed by a proper group of players, fleshing out his new tunes with the same nuanced, frenetic sound that made his other project so cool. A seasoned performer and a gifted songwriter, Ian’s material wasn’t a huge departure from what I’d come to expect, though perhaps a bit more experimental, toned down, and mature. Looking humble and happy to be back on stage, he utterly captivated the packed room, and I had a blast watching his well-honed performance, despite not really knowing the material. I’ve already noticed some more solo dates popping up around town, so if you haven’t seen Ian Ferguson yet, and/or you miss The Kingston Springs, be sure to catch an upcoming outing! 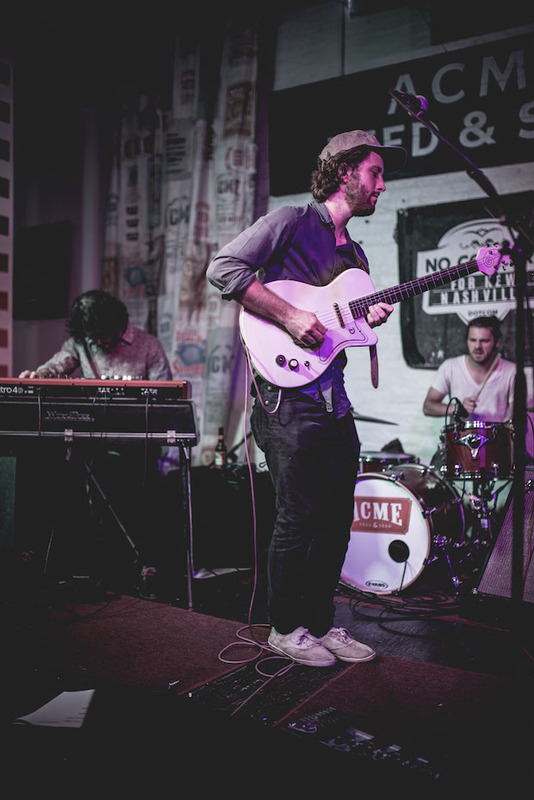 Our free, weekly Acme showcase continues this Tuesday, Aug. 4, for a special Phish-themed installment featuring Deep Fried 5 and The Stolen Faces. We hope to see you there!